BEST WISHES to all our greater TAIKO OHANA for a wonderful holiday season! Taiko Center of the Pacific classes will resume on Sunday, January 6, 2019. Spring Session I is January 6 – February 14. Registration will be available soon. Classes for all ages and all skill levels! Taiko Tots (ages 2-4), Family Taiko, Youth Taiko, Teens Taiko, Adult Taiko, “Nice & Easy,” Taiko for the Deaf Community, Matsuri Taiko, and Minyo shamisen. A FUN cultural activity which involves the mind, body, and spirit. A great work-out! JOIN US in 2019, TCP’s 25th Anniversary serving the community! FALL Session II starts October 25th – Register NOW! Taiko Tots, Family Taiko, Youth Taiko, Teens Taiko, Adult Taiko, “Nice & Easy,” Taiko for the Deaf & Hard of Hearing, Matsuri Taiko. JOIN US for a FUN cultural activity which involves the mind, body, and spirit. A great work-out in preparation for the holidays!!! 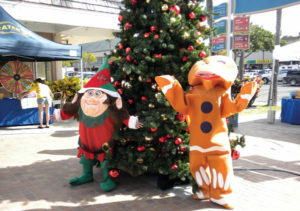 Taiko Arts Center’s HABILITAT Christmas Tree Fundraiser ends on Friday, October 26. Order a fresh tree/wreath from the Pacific Northwest for PICK UP on Saturday, December 1, 2018 at convenient locations around Oahu (Honolulu, Hawaii Kai, Aiea, Kailua, Mililani, Kapolei). Habilitat is a long term residential drug addiction treatment center helping people overcome substance abuse and homelessness. They have been helping people make positive changes in their lives for over 45 years. Taiko Arts Center & Taiko Center of the Pacific have been associated with Habilitat for over 20 years – sharing the spirit of aloha and the spirit of taiko through our education outreach. Be sure to acknowledge Taiko Arts Center when making your purchase and you will be helping to support both Habilitat and Taiko Arts Center programs. Please support Taiko Arts Center, a non-profit organization! This September 2018, you can help support Taiko Arts Center (TAC), a 501c3 non-profit organization based in Hawaii that promotes and fosters an appreciation of taiko through education, preservation, collaboration, and innovation in locally, nationally, and internationally. Taiko Arts Center has supported many workshops, educational programs, and performances in Hawaii with renown taiko artists such as Hiromitsu Agatsuma, Chieko Kojima, Kyosuke Suzuki, Noel Okimoto, Kenny Endo, Rhythm Summit, John Santos, Abhijit Banerjee, Uncommon Time, Tarang, Kapono Ciotti, Sonja Sironen, Shoji Kameda, Masato Baba, Eien Hunter-Ishikawa, collaborations with the University of Hawaii Department of Theatre and Dance, and more. 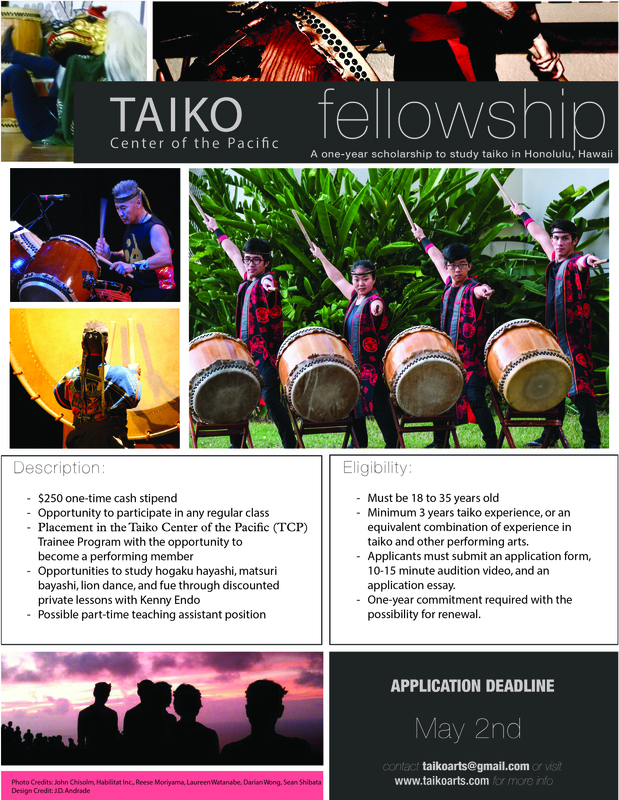 TAC has also sponsored a youth study/performance tour to Japan and scholarships for the study of taiko. Please help support Taiko Arts Center to continue bringing these great opportunities to the community with your donations. Thank you for your support! TCP perf MAUI April 24, 2019 Private Event. TCP Spring Session III starts April 7 – Register NOW! HAPPY LUNAR YEAR OF THE BOAR! 2019 is here! TCP Spring Session I starts January 6!